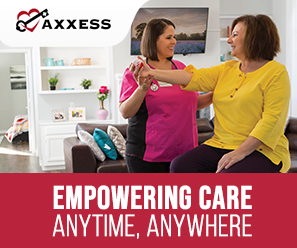 As owners and administrators of home care, home health, hospice and senior living communities, you know that care quality and smooth operations are directly in the hands of your care staff. One could even say that a healthcare company's reputation is dependent on its staff, if not on every individual member of that staff. The facts are well known: as the population ages at an accelerating rate, we are running out of caregivers precisely while care recipients and their needs are increasing. Consequently, sometimes you have to lower your standards to get enough workers. In this article we will look at a few creative ways to solve caregiver recruitment issues and gain a work force that will stay with you for years to come. Firstly, questions I hear from HR departments all the time: "Why can't I get more healthcare workers from 'generation X or Y' or from the millennial generation?" and "Why don't they call me back?" Maybe you catch yourself asking, "Why don't they want to work in this industry?" Well, if you are truly looking for candidates and not finding any, perhaps it is time to disrupt your current strategy. What would a new recruitment strategy look like? It starts with a solid marketing campaign that helps candidates realize the benefits and long-term growth they could gain by working in your community within your agency. Your message needs to be, "Working in the home care or senior living industry can be a less stressful environment than most places (read: offices) where you work today." Yes, you tell them they must be on time and perform all tasks ordered for each client or resident. However, you add, they also are not tied down to a desk or even a single work location; and, if they follow the plan each day, they get home with a wonderful feeling of accomplishment that they helped someone who truly needed and appreciated their care. Focus your recruitment messaging around the image of a satisfied young caregiver helping an older adult. Emphasize the point that "not all caregivers work in hospitals." Depending on their schooling, younger aides and nurses may not have thought outside the hospital or physician clinic box. Home care and senior living communities may never have occurred to them. You have to provide that image to get them thinking in your direction. Young job seekers today are looking at the whole company, not just the job. Your message content must include what you can offer an employee beyond compensation. Know that they will also be reading your reviews on sites such as Glassdoor and Google. What are you doing to increase your positive reviews and respond to your negative ones? Note awards you have received and special services you provide. For example, do you provide ongoing education and training? What type of corporate culture do you promote? Can they grow personally and professionally in your company? Mentioning flexible work hours will attract students who are looking for complementary work. Do you offer financial assistance to students after a certain amount of time worked? Once you get connected, continue your messaging with why your community and your agency are such great places to work. A beneficial by-product of these efforts is that, while you are looking for new caregivers, you may also attract new clients needing care. Naturally, you must consider using technology tools. Younger adults interact with technology through their mobile devices – almost like it is an appendage. There was a recent survey performed by MTV that stated Generation Y consumes (note that word "consumes") about 31 hours of media in every 24-hour period. I’m scratching my head trying to understand how that is even possible. But one certainty is that Gen X, Gen Y and Millennials prefer to communicate via mobile technology, meaning Facebook, Twitter, and texts, over even face-to-face conversing. Are you reaching out to them where they are? What does this mean for retention and employee satisfaction? Consider the technology you are currently using, if any. No, of course you cannot text care plans and patient information on unsecured platforms, but you certainly can handle staffing availability, scheduling and time cards there. For sensitive communications, you can deploy one of the available secure mobile applications. Either way, mobile caregiver apps provide a path to a less stressful environment no matter where your people are working. This is the best way to gain buy-in from the next generation of caregivers. It makes your business more attractive to a generation of workers that wishes to interact through their mobile device. The younger the workforce, the more mobile technology moves from preference to necessity. The return on investment from a mobile solution vastly outweighs that of paper care notes and other data items that cannot be shared instantly from one worker to another. I do know some communities frown on mobile devices at work, but they have distinct advantages for caregivers, such as alerting other caregivers when and if there are emergency situations or sudden changes in patient condition. So where do you start? First, update job advertising on your web site, then add social media. Ensure that your messaging acknowledges that not all healthcare workers are the same. Focus on the advantages of flexible hours and lower stress levels. Answer all the questions I posed to you earlier. You need to say that healthcare in the home, or in a senior living community, is not just an alternative but an innovative and progressive career choice. If your community or agency is not using mobile technology in 2018, you are not only wasting office resources with paper processes, you are potentially turning off a pool of fresh and driven employees. Mobile technology armed with caregiver applications, which have been around for over a decade, are proven to create value. Getting back to your online reviews, using these technologies also proves to families that your agency took good care of their Mom. You cannot do that with paper. Some applications even allow for photos or videos of Mom to be shared with family members hundreds of miles away. I hope you find the ideas here – modern messaging for recruiting and technology for retention – worth considering. We all know that patients and residents associate their caregiver with your business. The right caregiver leads to successful operations. By making their lives easier, you cause a happy experience for them and for your clients, which ultimately improves the quality of care you provide. At the end of the day, the best caregivers providing the best care is what we all want to achieve. Knowing they are providing quality services gives them a new sense of worth and accomplishment, factors that directly lead to longer stays with your company. Scott R. Herrmann has worked with agencies and senior communities with various communication and EMR solutions for more than ten years. He has successfully launched innovative technologies and services to top care providers to help lower their cost of care. He can be reached at: herrmann8r@msn.com.